« The genocide paradox: Would you now prevent the dinosaurs from extinction then? The now, of course, can not, has not, does not and will not ever exist. 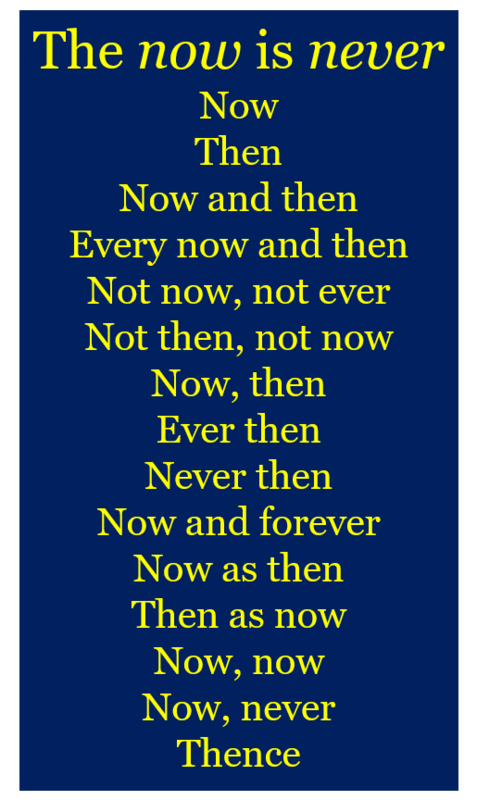 Then can refer to the past or the future but never to the now – which does not exist. This entry was posted on December 18, 2017 at 8:33 am and is filed under Language. You can follow any responses to this entry through the RSS 2.0 feed. Both comments and pings are currently closed.